From politics to religion, we humans have no problem finding things to argue about. But it’s safe to say that there’s at least one thing we all can agree upon. We hate freakin’ bed bugs! These ugly little bloodsuckers have been bugging us as far back as 400 BC when the good folks of ancient Greece tried to exterminate them. But since they show no sign of leaving this world in the near future, here are some things you might want to know. First the good news: Even though their bites can become red, itchy welts, they generally don’t transmit diseases or pose a serious medical risk. Unfortunately, that’s the only good news. Now the bad: They’re everywhere. 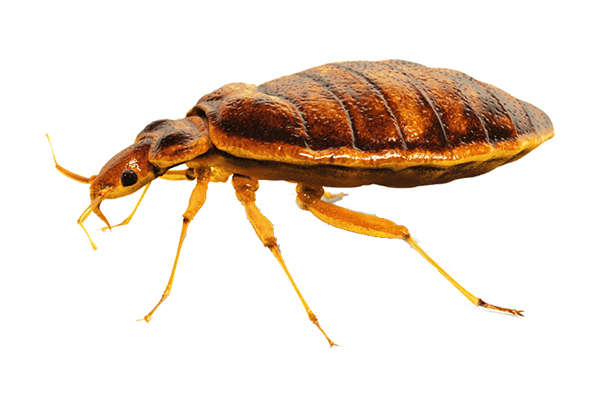 When most people think of bed bugs. they think of hotels. But a recent survey of pest control professionals showed they’re commonly found in homes, laundromats, and even cars. They’re also hearty little vermins. They can go months without a blood meal and survive in temperatures up to 122 degrees. And man, are they determined. They love to take your blood while you sleep and if you wake up mid-meal, they quickly hide, only to return right where they left off when you drift back into dreamland. So what can we do about these creepy crawlers? Obviously, the best way is to not get them in the first place. Experts suggest vacuuming frequently and removing clutter to get rid of hiding places. You can also use a protective cover to encase mattresses and always check second-hand furniture, luggage and clothing for any signs of bugs. When you check into a hotel, they suggest putting your suitcase on a raised stand so bed bugs can’t crawl in and later go home with you. If your unwanted roommates refuse to leave, your only other choice is to call a professional exterminator. But he’ll have his work cut for him. The pesky pests can quickly form a resistance to insecticides and are one of the most resilient creatures on the planet.